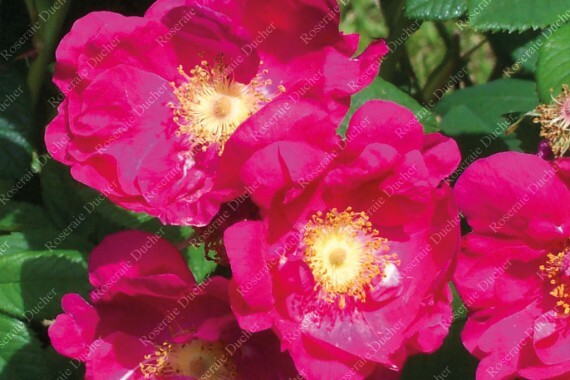 'Arkansana' is a shrub rose that comes from the American plains. Robust shrub with the blue wood, it shows good resistance to cold or hot weather. To be used isolated or in hedge.